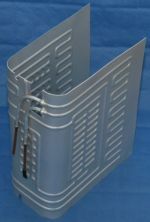 The evaporators have a protective layer, certified by the National Institute of Hygiene, which permits the evaporators to be used by the food industry. 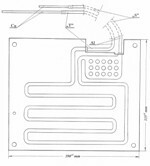 The roll-bond evaporator plates have a thickness of 1.3 mm, with the terminating pipes made from 6x1 mm, 95 mm long copper tubing. 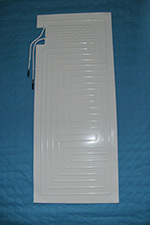 Manufactured as spare parts for the refrigerator cooling chambers. 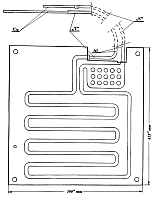 If the chamber becomes damaged, the evaporator can be mounted on the back wall. 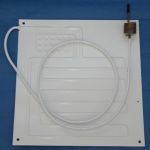 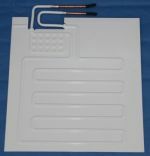 The complete set comprises: an appropriate roll-bond evaporator (plate), 1.3 mm thick, with correctly prepared tubing - S - suction, and - P- pumping, terminated with 250 mm, 6x1 mm copper pipes, as well as plastic mounting plugs. 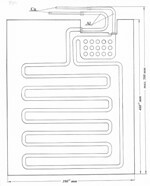 Everything is packaged in a box. 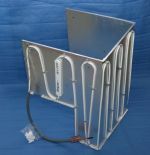 To order an evaporator, please provide its product code (C..), catalogue number, or fill out Order Form 1. 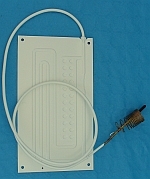 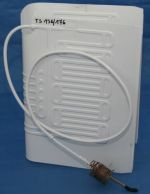 Manufactured as spare parts for damaged refrigerator cooling chambers. 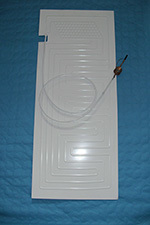 If the chamber is damaged, (looses tightness), the evaporator can be mounted on the back wall. 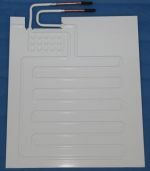 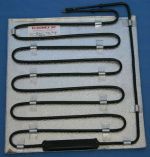 The complete set comprises: an appropriate roll-bond evaporator (plate), 1.3 mm thick with the S pipe terminated by a 6x1 mm, 250 mm long tubing and a capillary, as well as plastic mounting plugs. 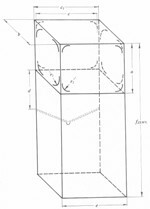 Everything is packaged in a box. To order an evaporator, please provide its product code, or fill out Order Form 1. 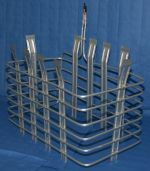 Pipe evaporators, manufactured as 10 mm thick plates. 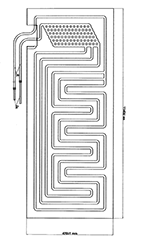 We manufacture evaporators with any given a and b values. 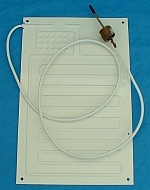 Repair sets for refrigerators with separate freezers, similar to TS-246. 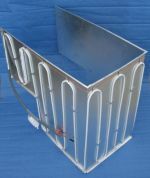 The complete set comprises: painted top pipe evaporator covered by a metal sheet (fig. 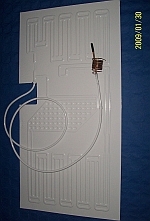 1), bottom roll-bond evaporator, painted white (fig 2), and additional equipment i.e. 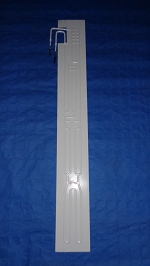 plastic mounting plugs, spacer sleeves, thermostat sensor holder with stainless screws, protective hose, insulation for the notch, silver duct tape, filling tube. 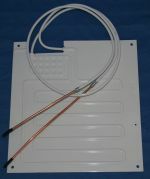 An installation guide is included in the set. 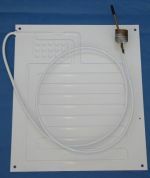 Everything is packaged in a box. 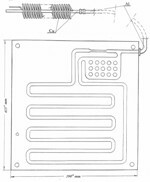 To order the evaporator, please fill out Order Form 2. 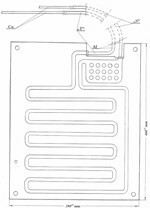 To order an evaporator set that is not included in our catalogue, please provide chamber dimensions as per figure 3. 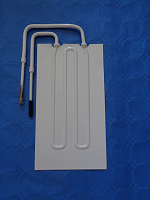 Evaporators for refrigerators with an open freezer. 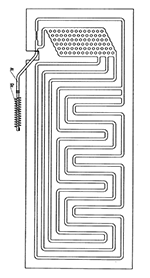 * - evaporator with reflux piping. 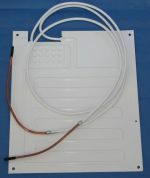 Repair sets for box freezers. 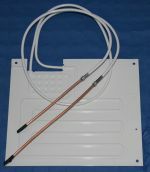 Used for repairing damaged freezer chambers. 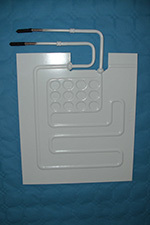 The complete set comprises: STUCCO (orange peel) sheet covered piping insert, and plastic mounting plugs. 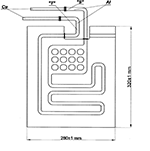 The insert is terminated by a 6x1 mm copper tube and a capillary. 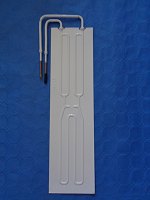 This repair set is characterized by its ease of installation. 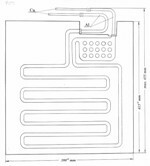 We manufacture inserts of any size after receiving the internal dimensions of the cooling chamber, according to the figure below. 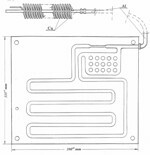 To order the evaporator, use Order Form 3. 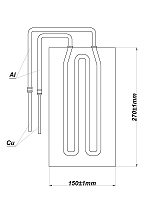 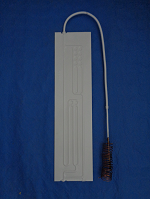 Evaporators used in various cooling equipment, terminated by 6x1 mm, 95 mm long copper tubing. 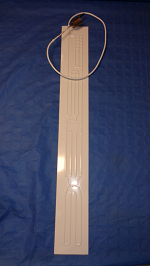 The evaporators work with wentilator.